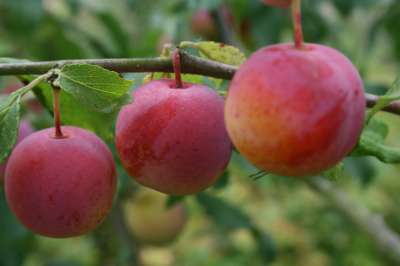 A recent introduction that produces early, very high quality plums for dessert, Ready for picking in July, the fruits are red-purple with a fine, juicy flesh and a flavour that is very outstanding. An easy to manage tree that is reliable and one of the heaviest croppers of all. Opal is an excellent new variety that we highly recommend. Large fruits, heavy cropping and the finest flavour of all the early varieties. Pollinate with any of the following: Victoria, Czar, Kirkes Blue, Edwards, Cambridge Gage etc.